Imprint Area :2" x 1/2"
Thank you so much! I'm very pleased with how responsive you all have been. We look forward to receiving our order and will definitely send a picture back! Our pens came in on time and they look great! I have attached a few photos for you to post on your facebook page. Thank you all so much! Great pens... the logo looks great, the pens write great, and everyone loves them! They've made the perfect "viral" advertising craze. Will no doubt be ordering more shortly. Customer service was excellent - above and beyond expectations. I re-ordered these on a Monday for an event on Friday as I did not have enough. Richard Wallace went above and beyond. Their supplier in CA was unable to get the order done that quickly but Richard convinced them to fit it in and rush it, at no additional cost to me. Fantastic customer service! 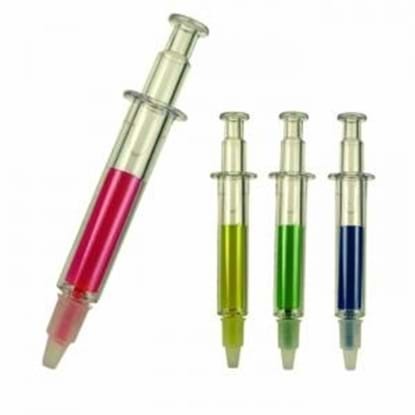 Will definitely use My Promotional Pens again! I ordered 500 customized syringe pens to give away at the world premiere of a movie I produced (http://paralyticmovie.com) - they were delivered quickly, the quality was great, and everyone loved them! I'll be ordering more for future film festivals we play. Impressed with how fast the order arrived. Pens look great and imprint is nice and crisp. Consistently excellent service! I've been ordering for years and always receive outstanding service and product. 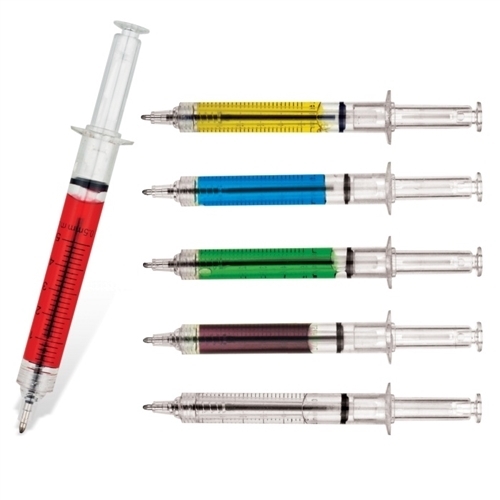 Syringe shaped highlighter. Chisel tip for thick or thin lines. Stocked in four brilliant colors. Liquid measurement on one side, Large imprint area on the other. 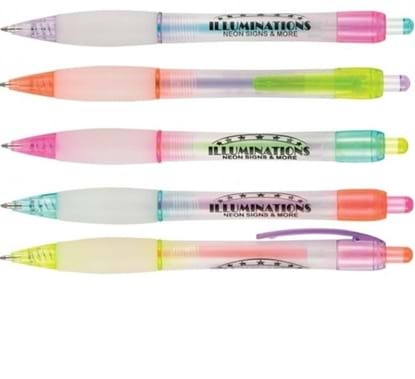 Whether you are using it in a hospital or in the classroom, this highlighter is an attention grabber. Such a fun pen! Portable 80gsm polypropylene foil cooler bag. Top zip for easy access with contrast double handles for comfort. 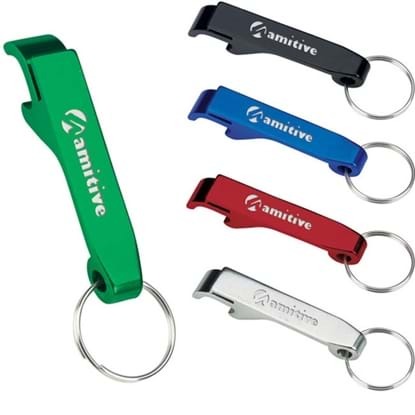 Holds 12 cans; Perfectly proportioned for picnics! 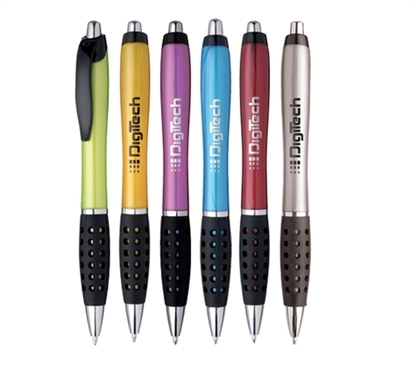 The NEW PASTEL GLACIER Bring cool thoughts to your customers hands with this PASTEL GLACIER retractable ballpoint pen. New chilling color mixes will gain the attention of all. Offered in assorted only.